When we decided to venture to Argentina as our first country in South America, Patagonia was high on my list. I have always been drawn to desertic and isolated places as well as beautiful wild landscape. I am also a huge fan of Patagonia, the brand and company that Yvon Chouinard built from scratch. 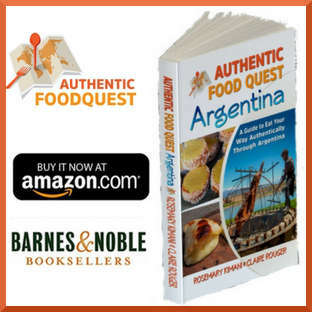 Therefore, my link to Patagonia land and my desire to learn about the Patagonia food were strong. Patagonia is vast and occupies most of the bottom cone of South America. It is shared by both Argentina and Chile. 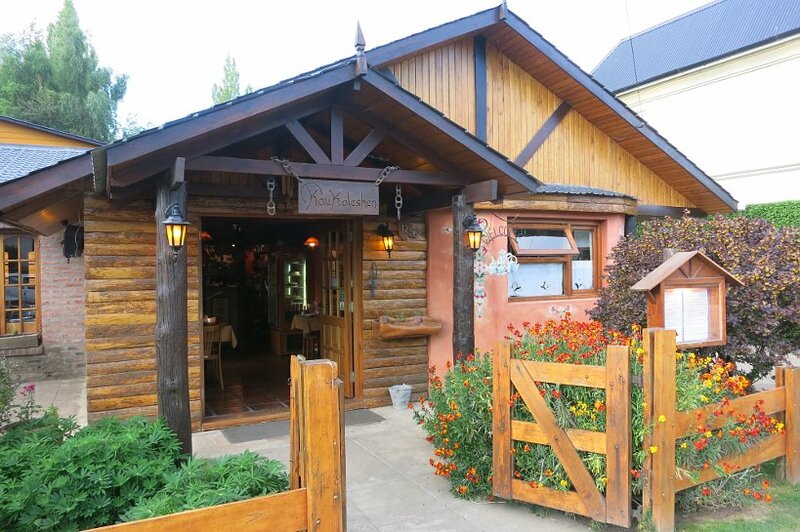 Choosing which part of Argentina Patagonia to visit and where to stay was not an easy choice. 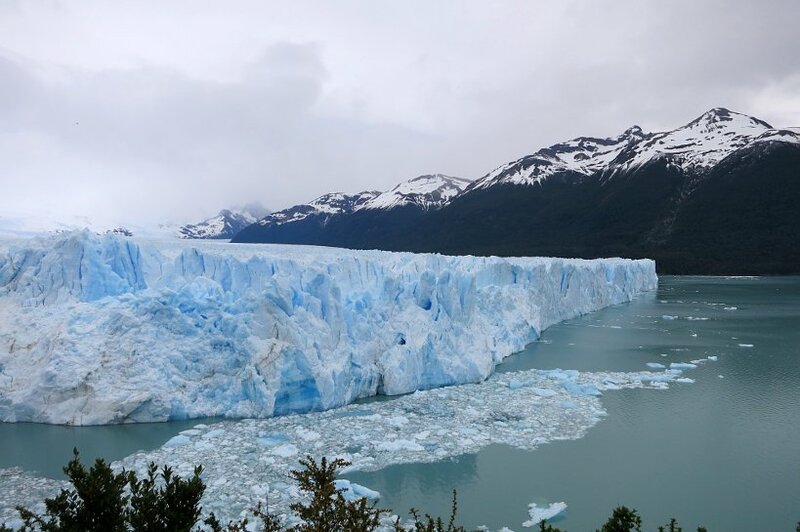 We decided to go to El Calafate for its ease of access from Ushuaia and to Bariloche our next destination, as well as to visit, the world famous stunning glacier Perito Moreno. 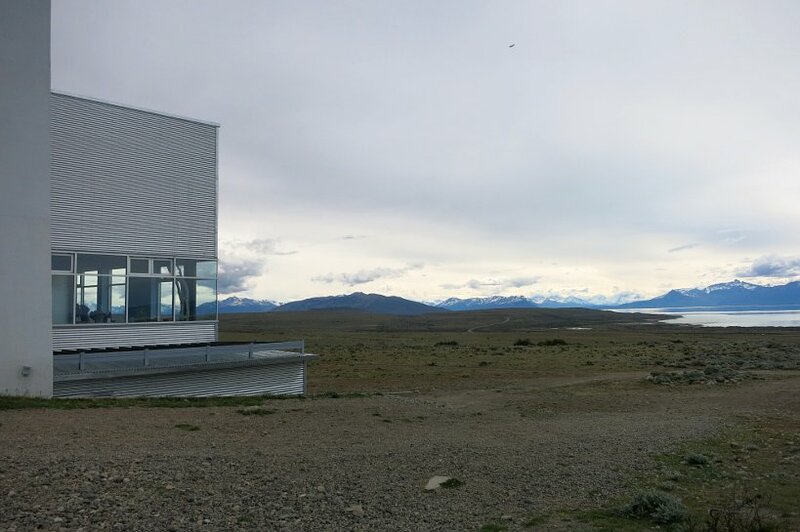 Before we headed to the Perito Moreno, we were intrigued by the Glaciarium which is the interpretive center for the Glacier in El Calafate. It is located right outside of the city and is worth a visit. There are free shuttles from downtown to the museum. 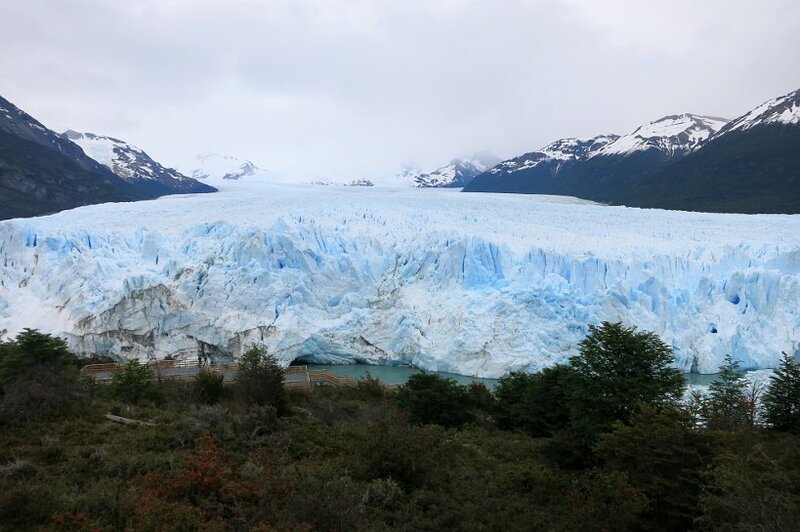 We got to better understand the importance of the glacier in Patagonia as well as the natural phenomenon of the Perito Moreno. It goes without saying that we took the opportunity to visit Glacier Perito Moreno. The Los Glaciares National Park, of which Perito Moreno Glacier is part of, was declared a World Heritage Site in 1981 by UNESCO. It’s accessibility, beauty and dynamic movements make it a popular destination. There are many way to experience the Glacier and we chose to experience it from up close and as well as do a mini-ice trekking ON the glacier. 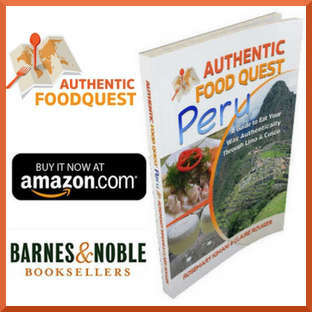 We were recommended by a friend to check with Amayco for their expeditions. Although we understood that all the tours are managed by the company hielo y aventura, we appreciated Gonzalo’s thorough description of the tours proposed and help in getting it set up. Pricing wasn’t different so we booked with him. 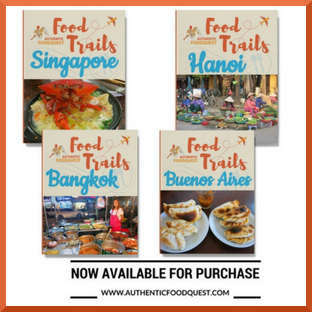 The best part is he gave us great tips on local delicacies and places to go to try them. 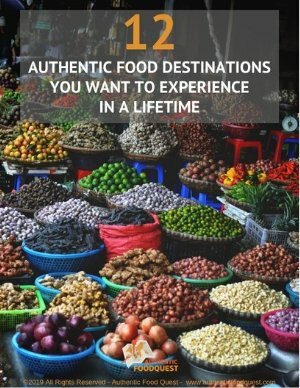 What about Patagonia food you might ask? Well, Patagonia is known for its lamb and when we talked to Francis Mallmann this was the first thing he mentioned to us. 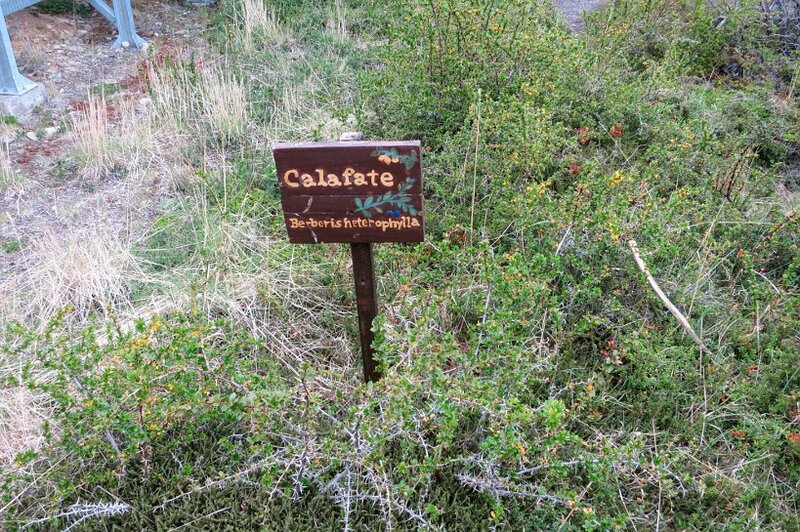 But the intriguing part about El Calafate is that it takes its name from the berry called Calafate or Barberry in English which as legend has it “that whoever eats its berries will return to Patagonia”. Nice promise! So we went on with our quest to try both specialties. 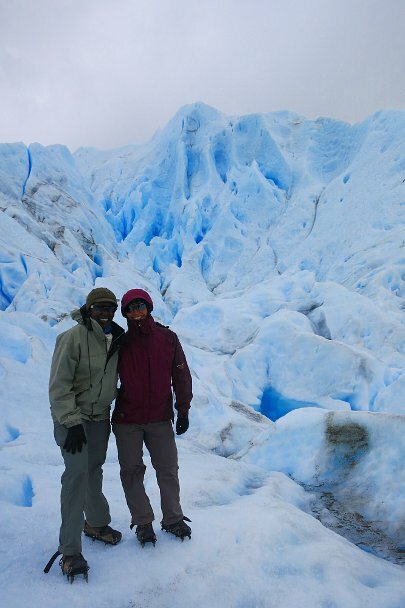 But before we start, we better warn you that Patagonia in general and El Calafate specifically is expensive! It is the most expensive place we have been to in Argentina even more than Ushuaia. So we again decided to keep our travel short here and choose our restaurant wisely to try the local specialties. First, we wanted to try the lamb cooked in different forms. 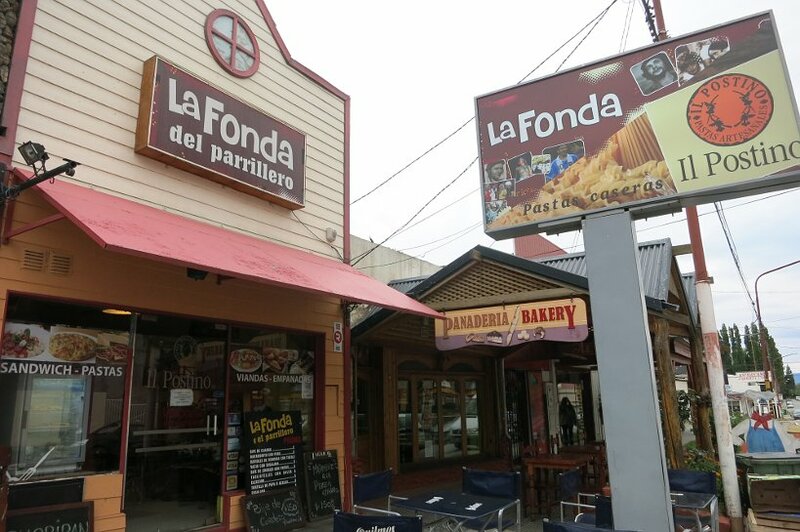 When we arrived in Calafate, we were too tired to cook for ourselves so we went to La Fonda del Parillero, a local rotisserie. We walked by the place and the smell just drew us in. It was busy and they had cooked cordero (lamb) either to eat in or takeaway. We ordered the Bife de Cordero (lamb) with papas fritas (french fries). We made a nice salad at home and took one portion for both of us which was plenty. The bife de cordero was good though not very tender. We found it a bit tough, maybe due to the cooking style: it was well done. 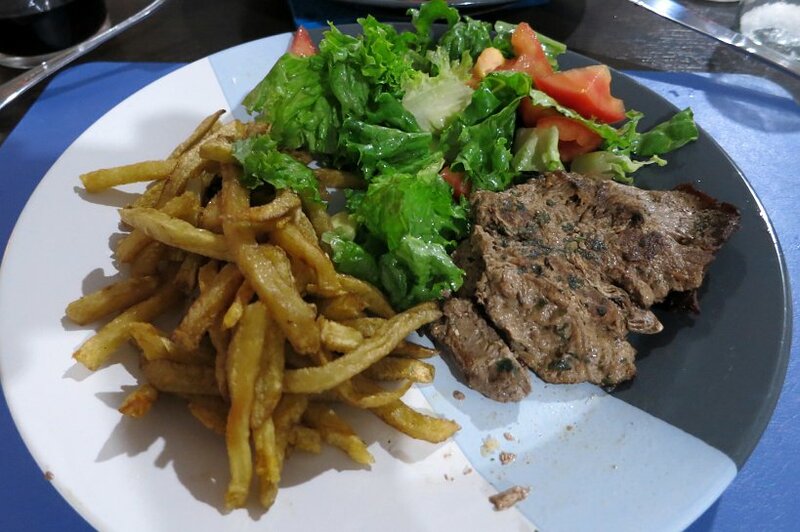 The flavors were very characteristics of the lamb (strong and earthy) and the papas fritas were delicious. A nice place to stop by if you don’t want to go to a spendy restaurant and if you are tired after a long day of hiking and want something delicious. 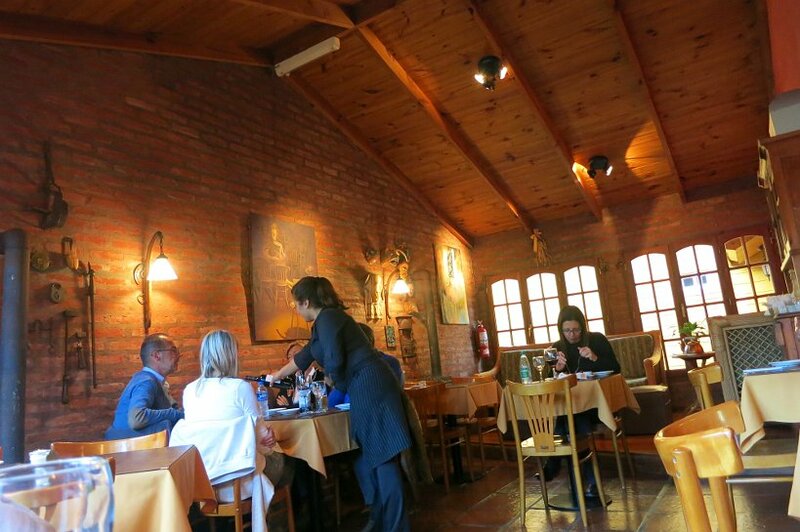 For our restaurant choice, we asked our host at Airbnb, our friend at Amayco who booked the Perito Moreno Glacier tour for us and they all advised us to go to Kau Kaleshen Restaurant. Before committing, we also did a tour of all the restaurants in the area, looking at their menus and ambiance. 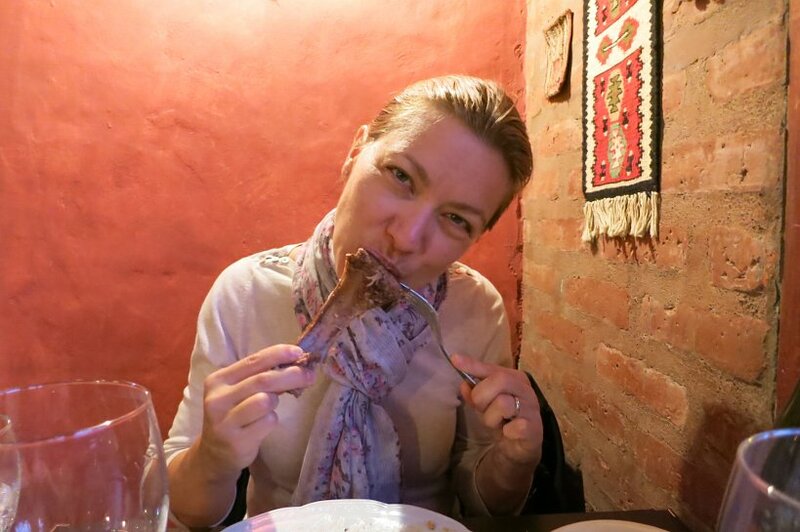 We concluded that Kau Kaleshen Restaurant was indeed a good choice for us. 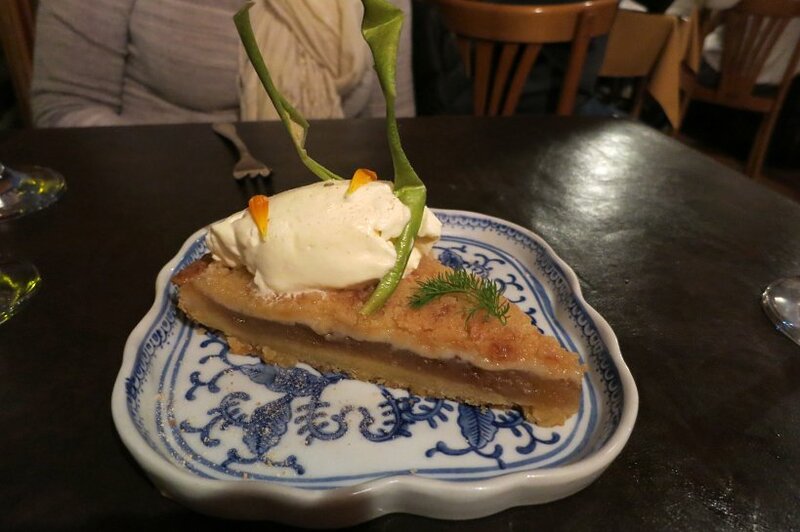 We walked in to make reservations and were welcomed warmly with nice smiles and after looking at the menu and getting a feel for the ambiance we knew we made the right decision. 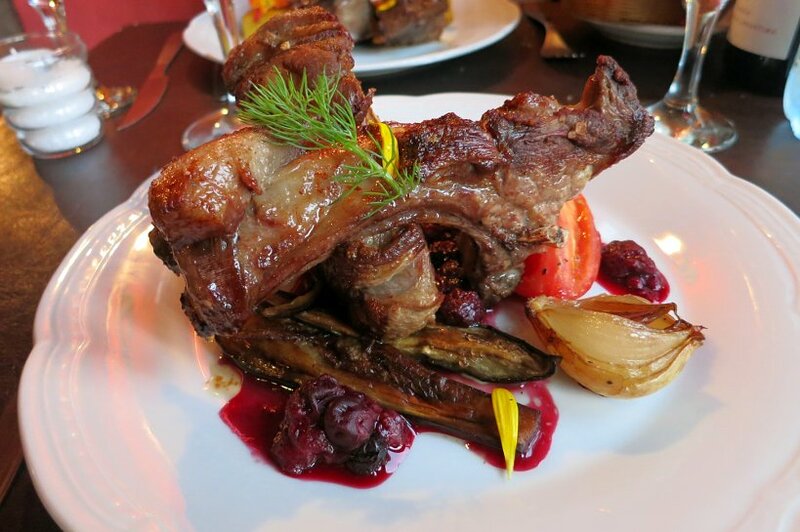 The focus of our dinner was all about the Patagonian lamb. As a result both Rosemary and I ordered the lamb for our main meals. The service at Kau Kaleshen Restaurant was very pleasant. While waiting for our main meal, they brought us a nice amuse bouche of hummus with homemade bread. Being hungry and the bread delicious, we devoured it quickly and they brought us more bread, without questions asked. 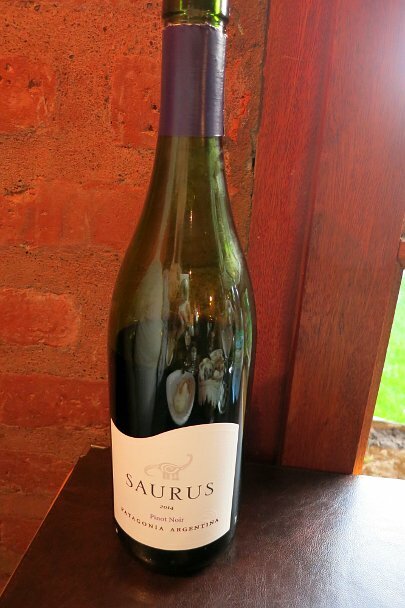 We also ordered a Patagonian Wine called Saurus, a Pinot Noir. Very tasty and light, we recommend it. When the lamb came, we were quite impressed with the pieces which were presented to us. They were large Costillas de Cordero (rack of lamb) with nice presentation for our sides. Rosemary had her lamb with red fruits, egg plants and red peppers while I asked for the potatoes with chimichurri sauce which normally goes with their other meat dish. 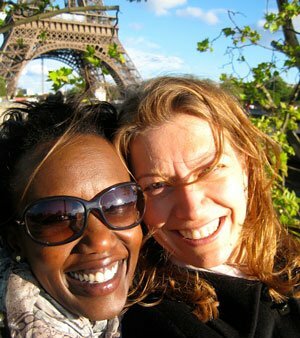 By having two different sides, it was a way for us to share a bit of our meals. As we dug into our plates, the costillas were not easy to apprehend. While we found them tasty, the lamb was a bit tough and not easy to eat. Well, in a few words, we’ve had better lamb before. Though the sides were really good and well presented. 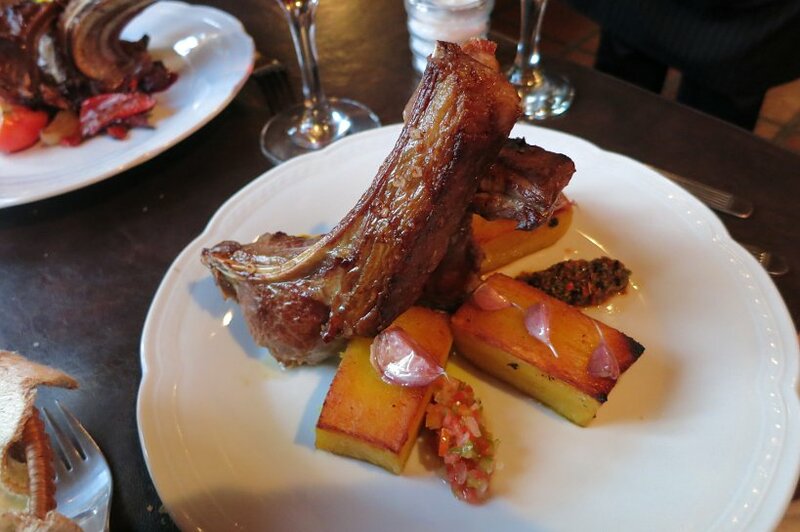 In summary, we would recommend for you to try the cordero but rather than have it as a dish, it might be better to have it at a parilla where it can be grilled directly from the asado. We were not quite satisfied with the one we had at Kau Kaleshen Restaurant . The Calafate is a spiny shrub whose flowers gives an intense aroma as we could witness it. The Calafate berry is a major delicacy in the area. Unfortunately, we could not shop for the fruit itself as it is not the season yet. The best time to find it is in summertime and we are only at the beginning of the spring season in the Southern Hemisphere. 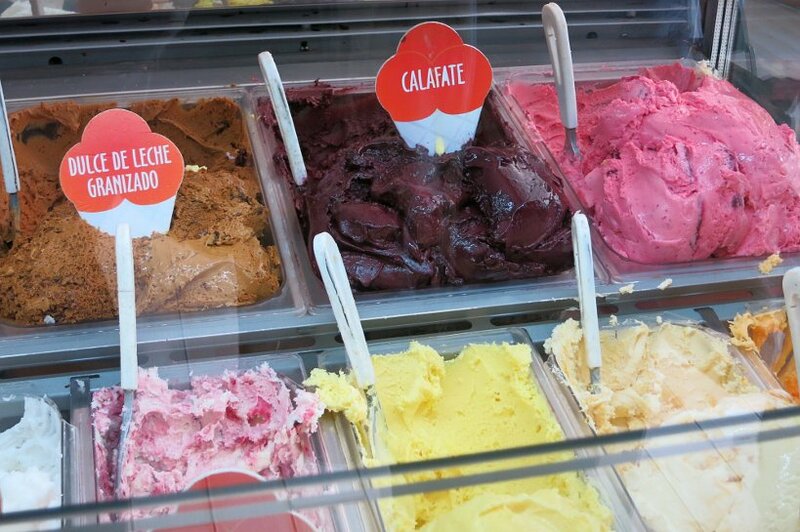 To try the berry in other forms, we tried out some of the local specialties like the Alfajor and Helado made of Calafate. 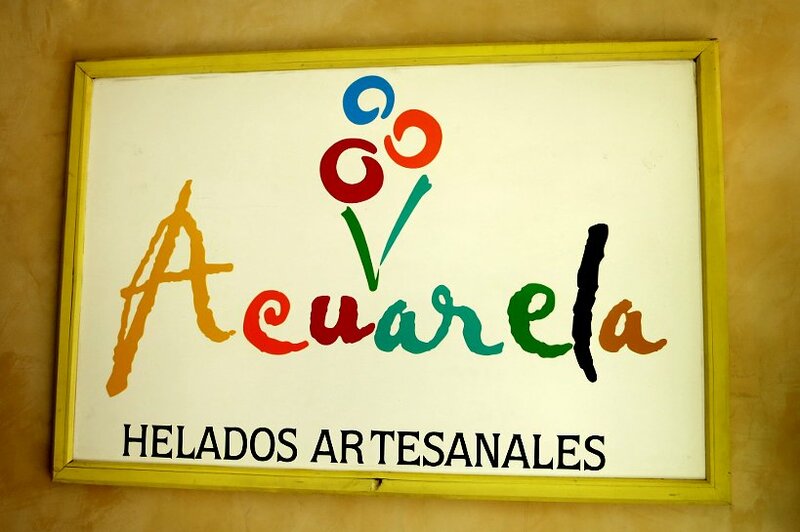 We got a recommendation to try out Calafate Helado (ice cream) at an artisanal helado called Acuarela Helados located in the center of the city inside the store Ovejitas de Patagonia. When we got there, we knew right away this was the right choice. The place was packed with people either looking for helados or for the chocolates. 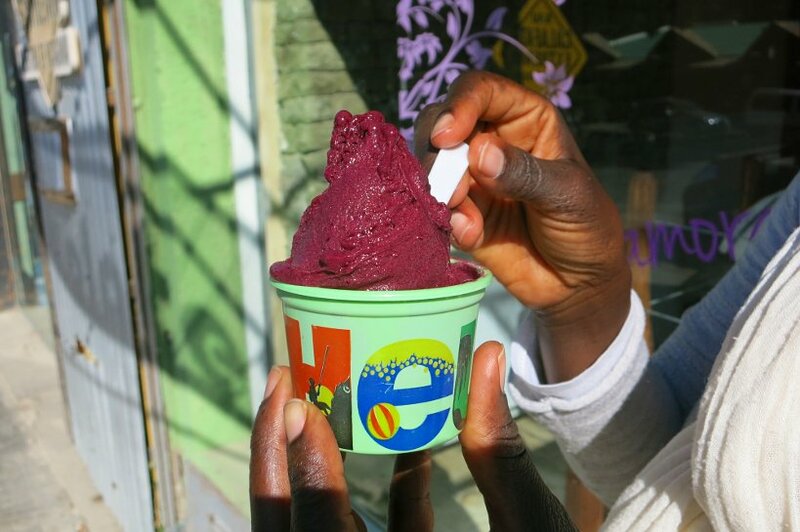 The helados looked delicious from the outside. We ordered the Calafate which had a deep red and purple-ish color. The taste was very fruity, deep and closer to a blackberry than a raspberry. A delight! 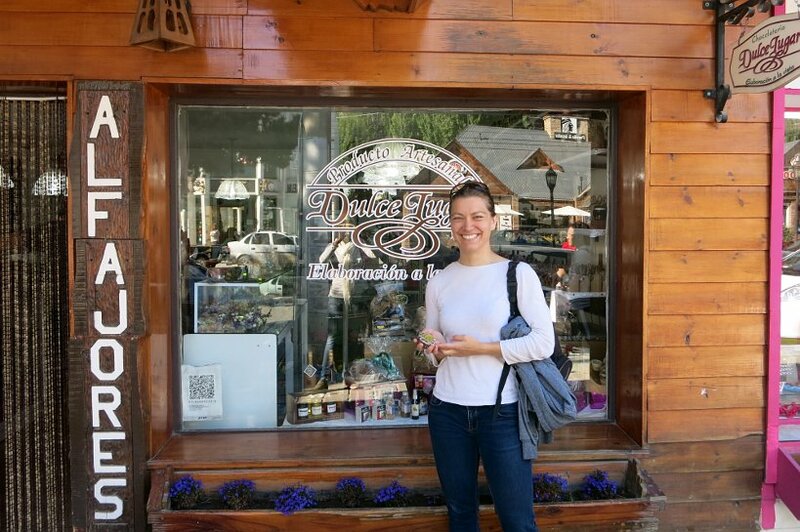 We made it to the place that was recommended for the best Alfajor Calafate – Dulce de Lugar. They make chocolates as well as Alfajores. The production is done by hand in the back of the shop that can be seen from the inside. 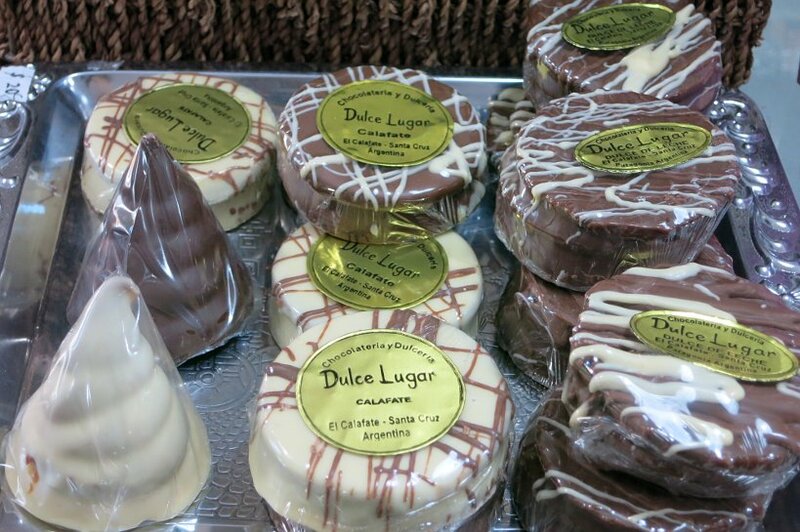 The store caters to tourists and has collections of packages with chocolate and alfajores. We looked around wondering if we could have only one alfajor as everything was presented in packages. We were able to get one for a hefty price of $20 pesos but it was worth it. This alfajor was made of two chocolate cookies and instead of dulce de leche in the middle, it was the dulce de calafate that “glued” the two cookies together. The alfajor was delicious, the chocolate excellent, very flavorful, not too sweet and melting in the mouth. The dulce de calafate was fine though it was hard to taste it amongst the strong flavor of the chocolate. Nonetheless, it was worth every penny! No doubt, Patagonia is a region worth visiting for its splendid nature, its wilderness, mountains and the famous Perito Moreno glacier. And as you are visiting for the breathtaking experience, take the chance to appreciate the local food specialties that makes it special. Patagonia Lamb is one of Patagonia food delicacies and apparently a registered trademark. This is an experience that cannot be missed. 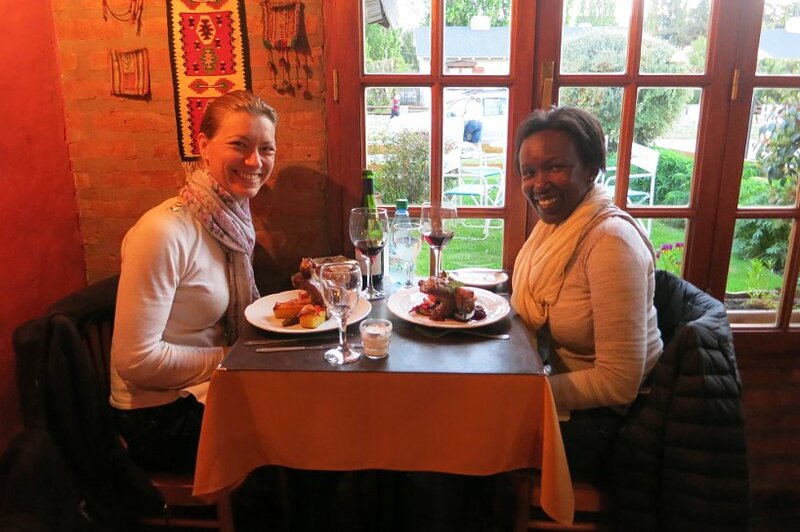 If you happen to visit when the calafate berry is in season, try the lamb with the calafate sauce. It is supposed to be a delight. 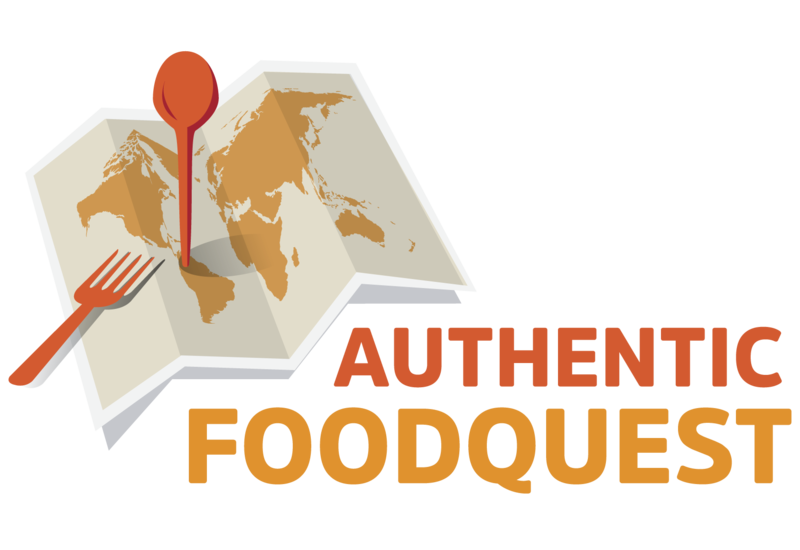 As for Authentic Food Quest, our journey continues. We are taking a long bus ride (30 hours) to our next stop, Bariloche! Plenty of specialties are awaiting 🙂 Stay tuned. Thank you Katarzyna! Our best lamb in Patagonia was on the parrilla or BBQ. How do you like your lamb prepared?